PIN - SARAH COVENTRY. "SARAH'S MOTHER'S PIN"FROM 1969. 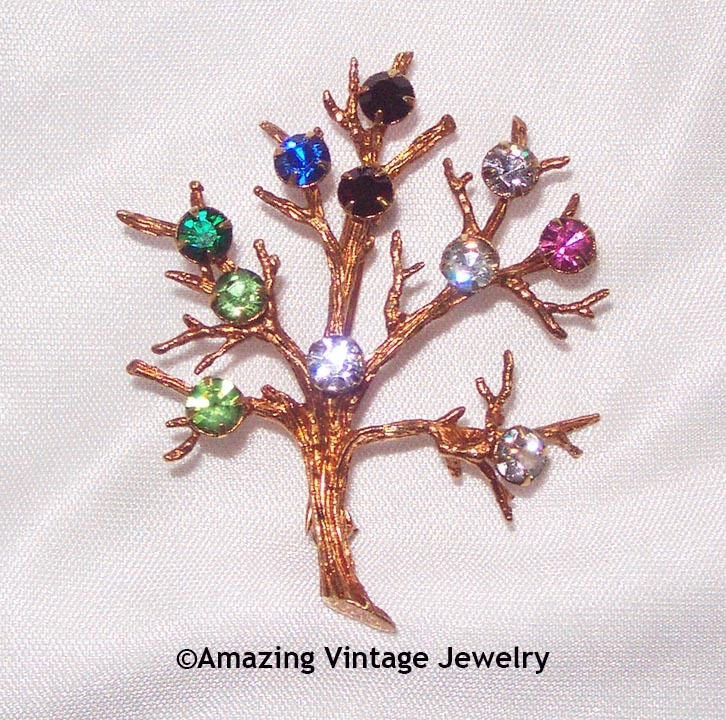 GOLDTONE TREE WITH COLORFUL AND CLEAR RHINESTONES. 2 1/16" LONG, 1 5/8" ACROSS. VERY GOOD CONDITION. THE STONES IN THIS STYLE VARY FROM PIN TO PIN. YOU WILL RECEIVE THE EXACT PIN IN THIS PHOTO.